Special jingle stick with mounting plate. The Cajon is a remarkable instrument. In a single device, you can replicate the roles of almost any component of a conventional trap drum set. The basses come from the center strike, while the snare elements come from edge strikes, and toms are found somewhere in between. The challenge has been the replication of the role of the cymbals - that challenge has been solved with the Heck Stick. The Heck 75 attached to the side of the cajon and gives you adjustable jingles that beautifully fulfill the role of hi-hat cymbals. 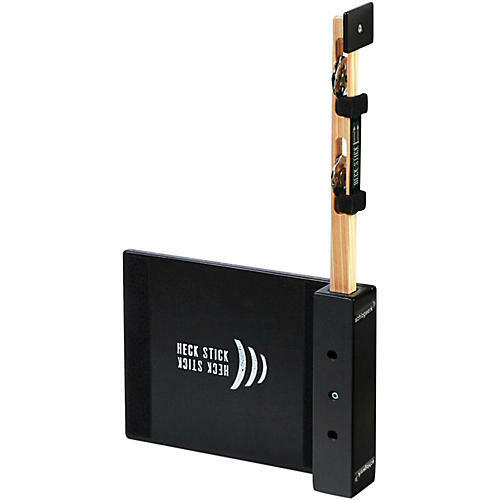 Expand the scope of your cajon with the Schlagwerk Heck Stick. Fits most Cajons (45 cm and 50cm in height). Order today.